9 October 2017 – NOJA Power confirm the deployment of their OSM Recloser System in the National Power Corporation (Napocor) project to fully energise the island of Limasawa in Southern Leyte. The project saw island energy service hours extended from 16 to 24 hours, providing high reliability of service and enabling development of further tourism. 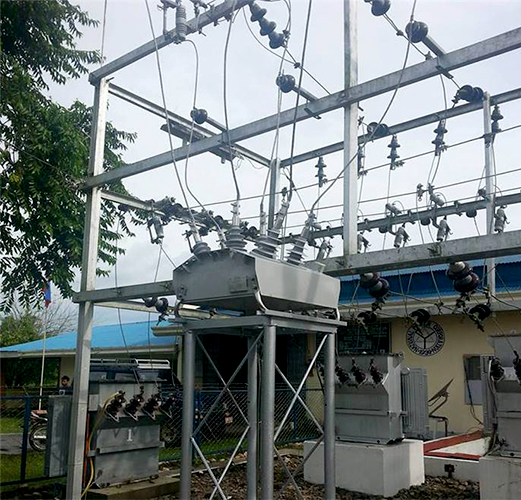 NOJA Power’s OSM Recloser system has been deployed in many island installations in the Philippines, where the equipment is deployed as an interface between diesel generators and the local island electricity grid. The deployment of the OSM Recloser system simplifies installation, as the equipment integrates protection, metering and control in a single type tested unit. The integration of sensors, switchgear and control in a single product greatly reduces the testing and commissioning costs, providing economic feasibility for energisation projects under low demand situations. It is anticipated that the energisation of Limasawa will lead to substantial growth in tourism to the region, as the island enjoys a rich history as the point of discovery of the Philippine Islands, and is the very first landing place of Ferdinand Magellan in 1521. Napocor’s ongoing project to energise the rural islands of the Philippines has been strongly supported by NOJA Power’s distributor in the region, Power and Equipment Supplies Incorporated (PESIN Inc). From their headquarters in Manila, PESIN have supported Napocor in from both technical equipment deployment and procurement. The connection of small and medium scale generation to the electricity grid often requires an extensive list of protection and automation functionality. The NOJA Power Reclosers integrated approach to these features has driven demand for the product in these applications. The Philippine Island deployment is a key example of the simplicity and cost saving provided when used for generator connection.